As the name would suggest this recipe is French and dates back to the 17th century. 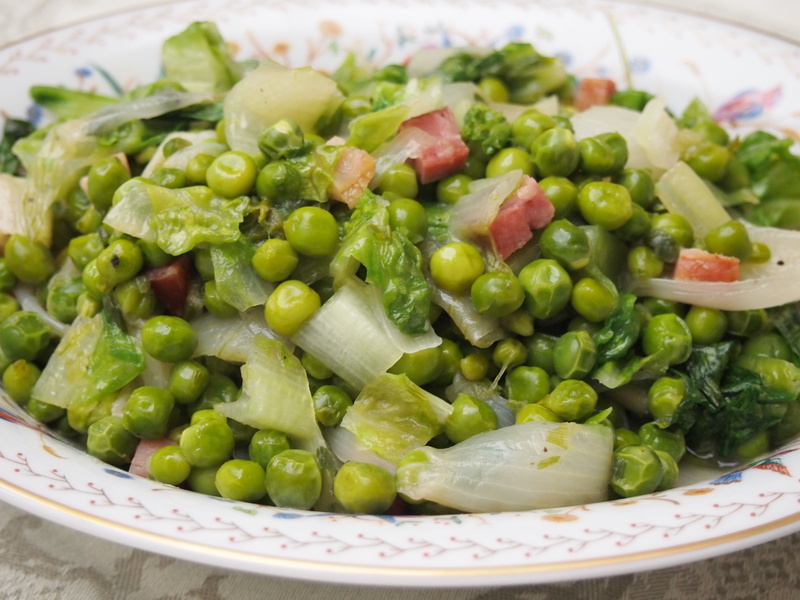 The sweetness of the fresh peas makes this a great side for any kind of poultry or game. It can be made vegetarian by omitting the speck/bacon and using vegetable stock instead of chicken stock. I paired it with Thomas Keller’s roast chicken (see previous post). 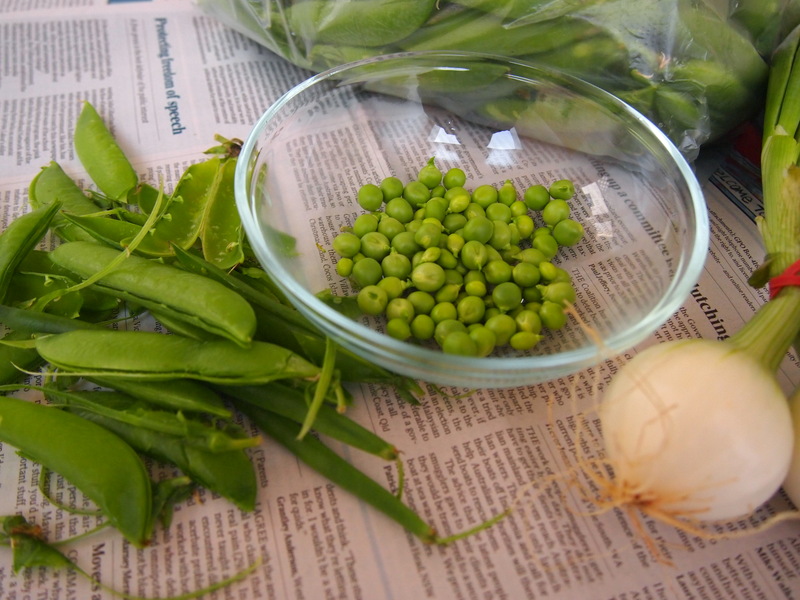 If you’re unable to source fresh peas then frozen ones will do although they won’t have the same mellow sweetness, but you’ll certainly save time podding them! 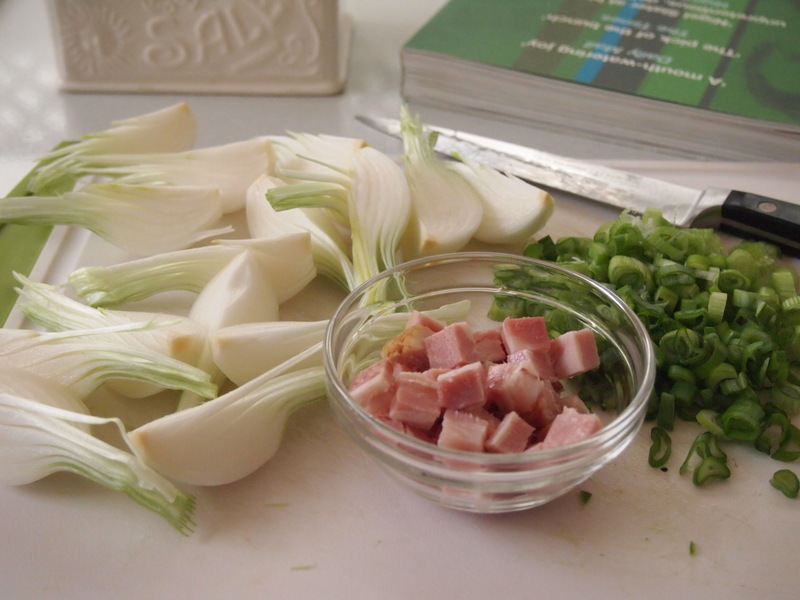 Cut the onions off the spring onions and quarter them and slice the green sections finely. In a large frypan or skillet, which has a lid, melt the butter over medium heat. Add the onions and the green sections along with a pinch of salt and sauté gently for about 5-8 minutes until the onions have softened, be careful not to get any colour on them. Add the speck and cook for another couple of minutes. Increase the heat and add ½ a cup of stock and the peas along with another pinch of salt and some freshly ground pepper. Bring to the boil then lower the heat, cover and cook for about 8 minutes or until the peas are tender. If the pan is running dry add some more stock. 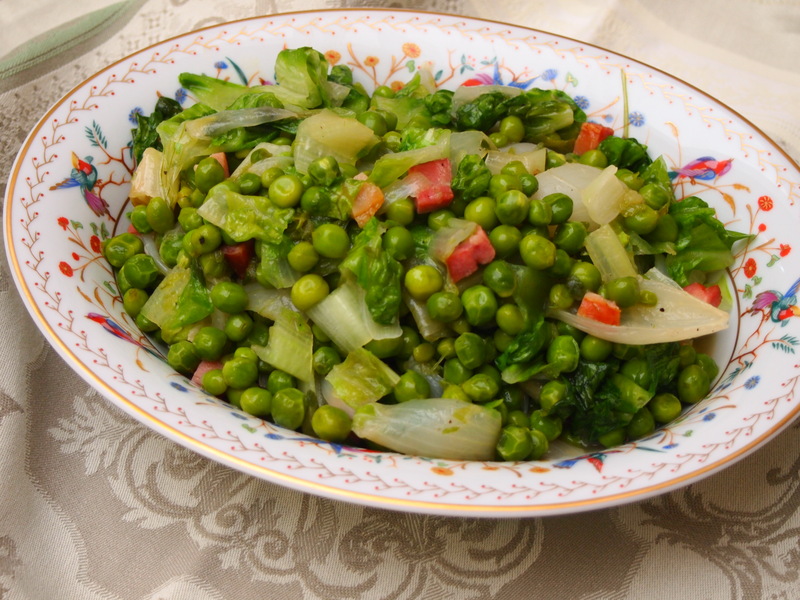 Once the peas are cooked remove the lid and if the peas are too watery increase the heat and boil until only about 2 tablespoons of juice remain. Add the sliced lettuce and cook until just wilted through. Check the seasoning and serve immediately.